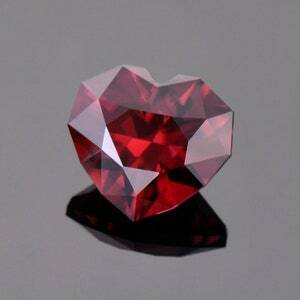 Size: 11.87 x 8.30 x 4.24 (Depth) mm. 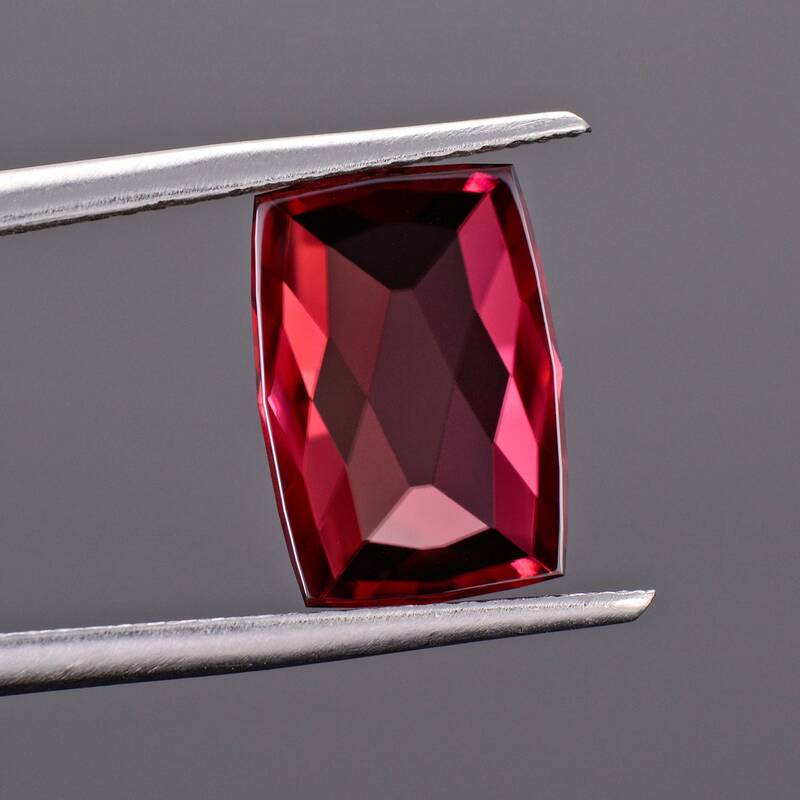 This is just a fantastic Rose Cut gem! 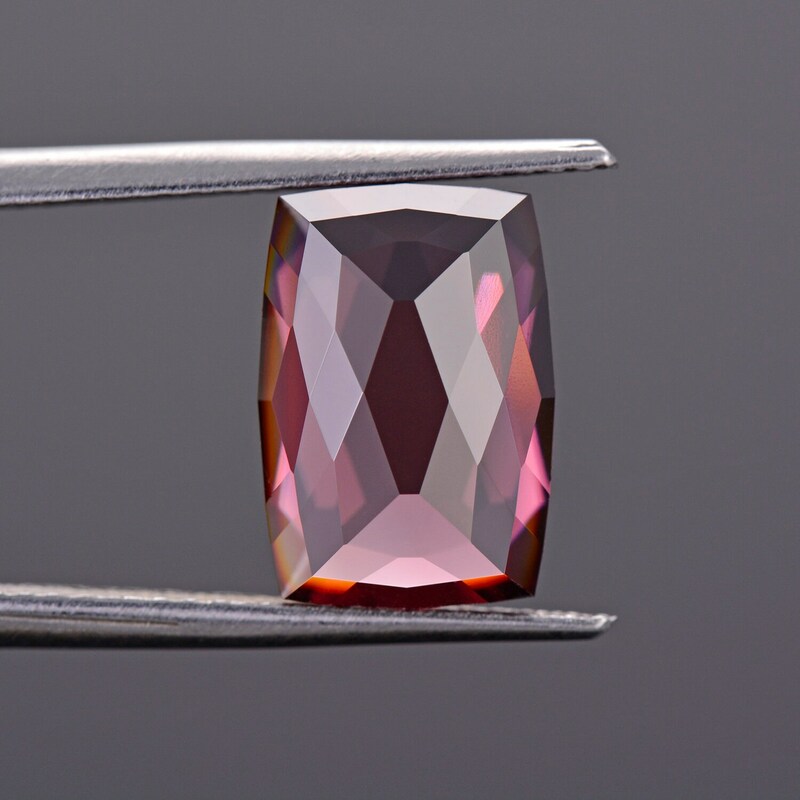 This is a Rose Cut, being faceted into a dome of diamond shape facets across the crown with a slight cabochon back. 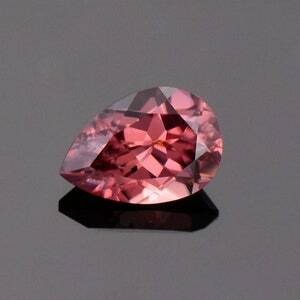 This gem exhibits a beautiful rosy red color with hot pink flash that is enchanting. The clarity is exceptional, absolutely water clear. 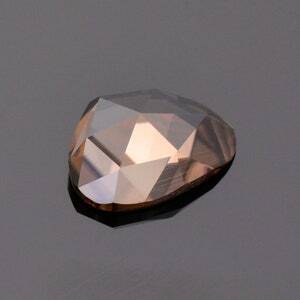 The stone glitters stunningly in the hand and out in the sun it gleams. 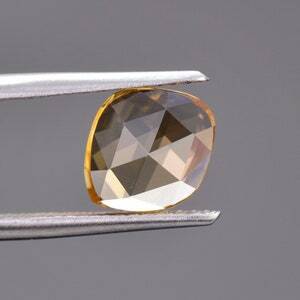 This stone will make a gorgeous piece of jewelry, especially nice for a ring. 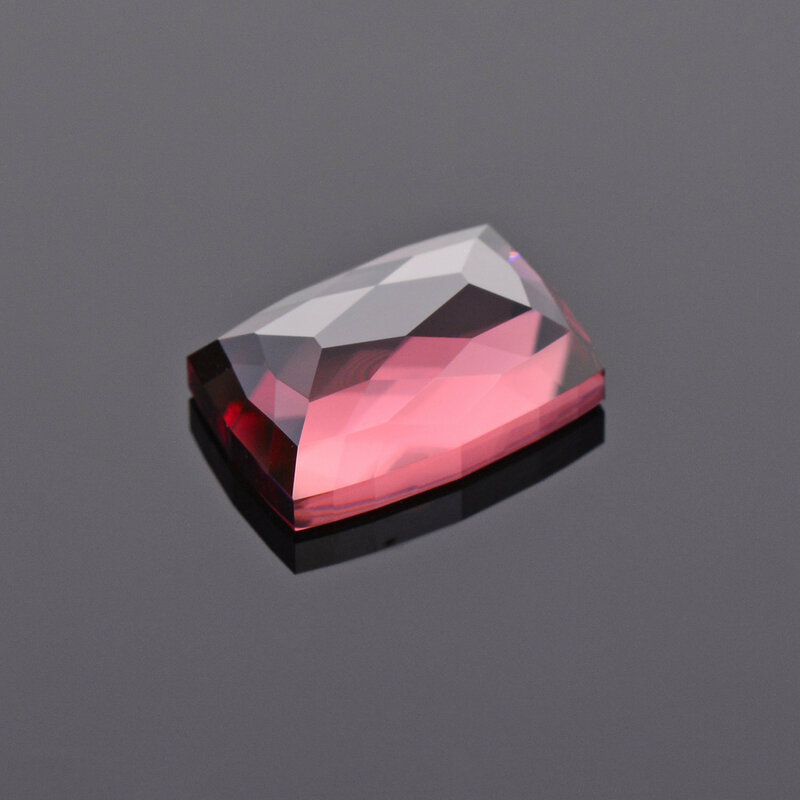 This stone was faceted by Brett Kosnar of Kosnar Gem Co. during May 2018. Enjoy!